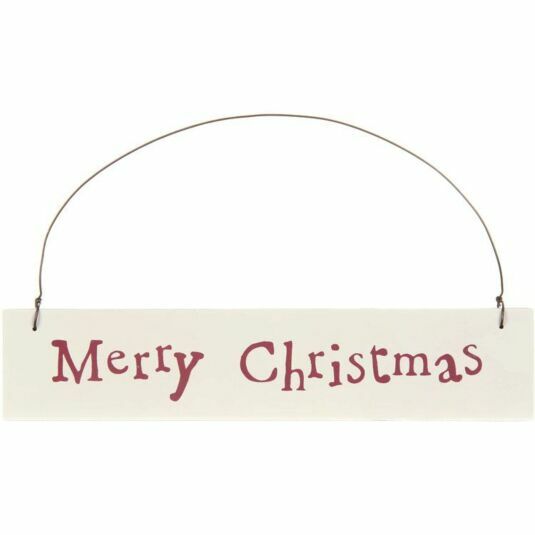 This rustic style wooden sign is a great way to help celebrate Christmas. Measuring 21cm x 4.5cm and with a wire hanger, it would make a charming addition to your front door to help spread seasonal goodwill, or even as part of a present or on the tree. The sign is whitewashed with red writing that reads 'Merry Christmas'.